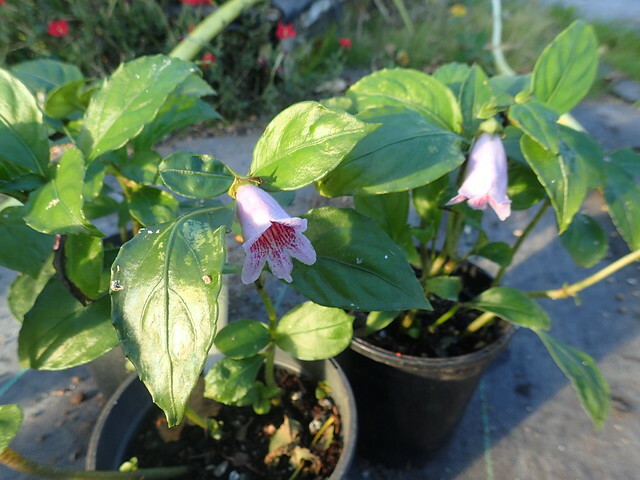 I was very excited when I first came across this on Ed Bowen’s Opus nursery website. 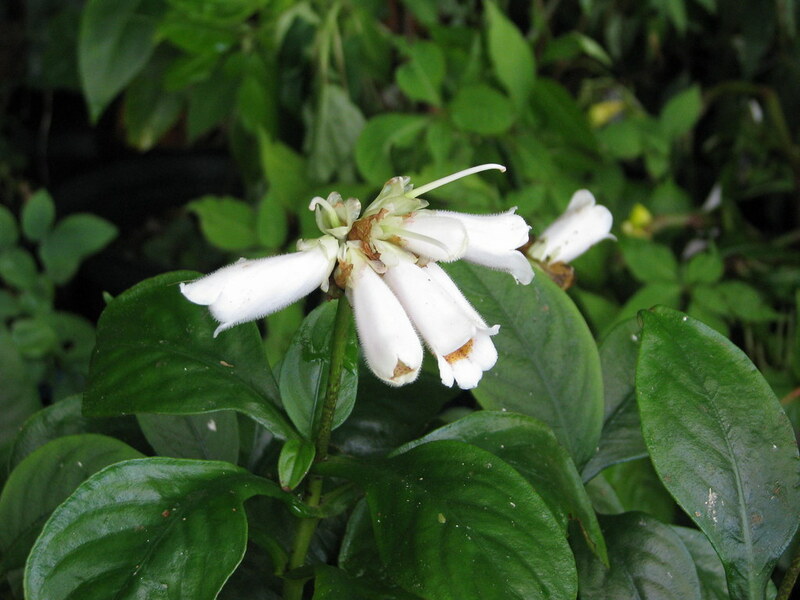 I thought at first it might be some very classy Abelia relative with long white flowers, marked rich red inside over dark green leaves, but it is in fact a member of the gesneriaceae. 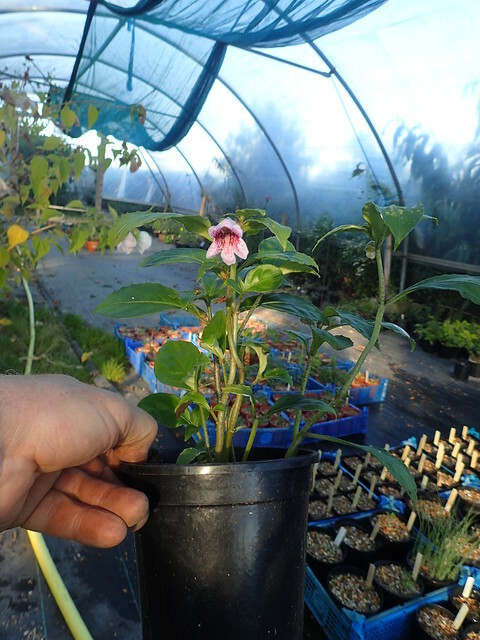 Now, one does not expect gesneriads to be hardy easy-going perennials in the UK but this does appear to be the case here. The easiest up until now have probably been Haberlea and Mitraria but this adds to the list and seems if anything, even more adaptable. Unlike many choice woodlanders it doesn't appear to need cool moist conditions to do well and, as I've discovered, puts up with rather hit-and-miss watering rather well. It spreads and bulks up well and quickly here. I don't know yet how much cold it puts up with but it seems hardy at least in Southern England. It dies back to rosettes in winter. Still rare outside specialist collections but destined to be very popular I think. 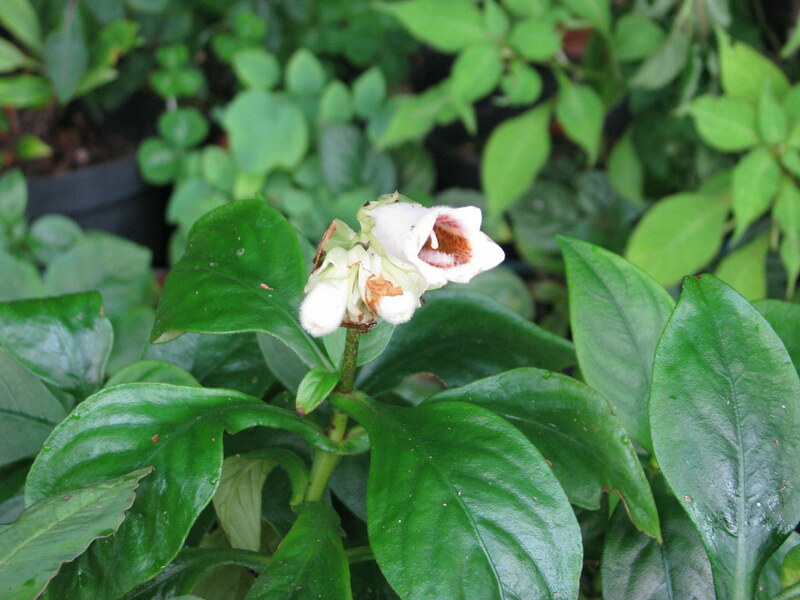 This pink-flowered species was being sold as subcapitata by a few nurseries but is obviously distinct, both in the flower colour and the thinner texture of the foliage. It seems just as easy to grow and may even be hardier, judging by the fact that the overwintering rosettes have remained evergreen.